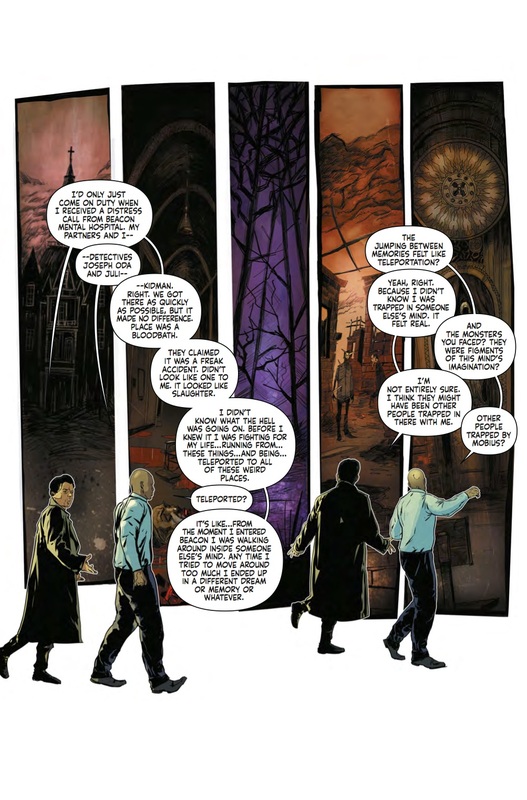 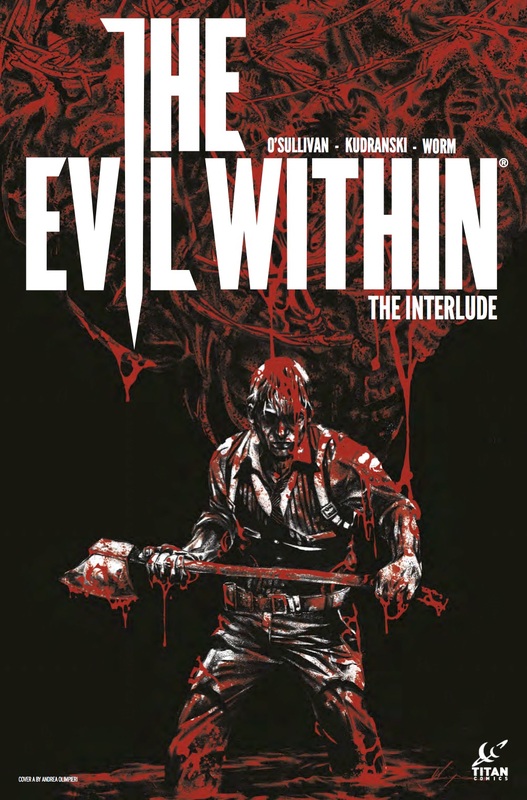 The Fellowship has obtained a first look at THE EVIL WITHIN #1 from Titan Comics. 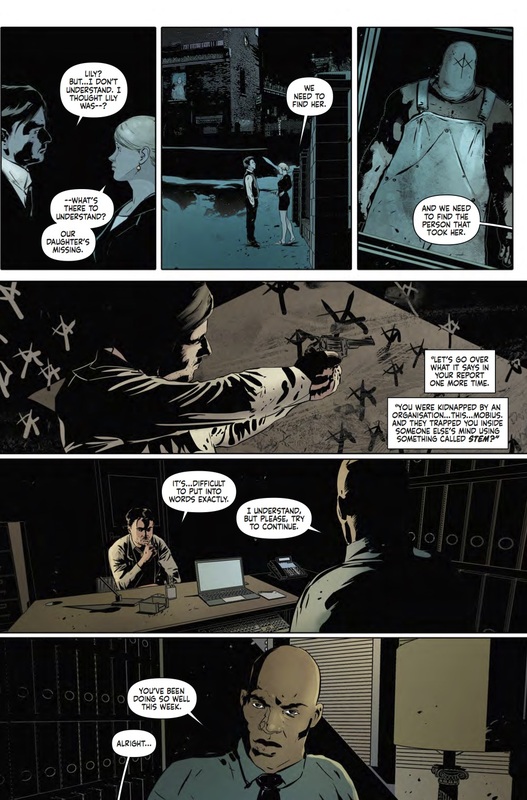 The issue, which hits stores September 6th, is written by Ryan O’Sullivan; with art by Damian Worm & Szymon Kudranski. 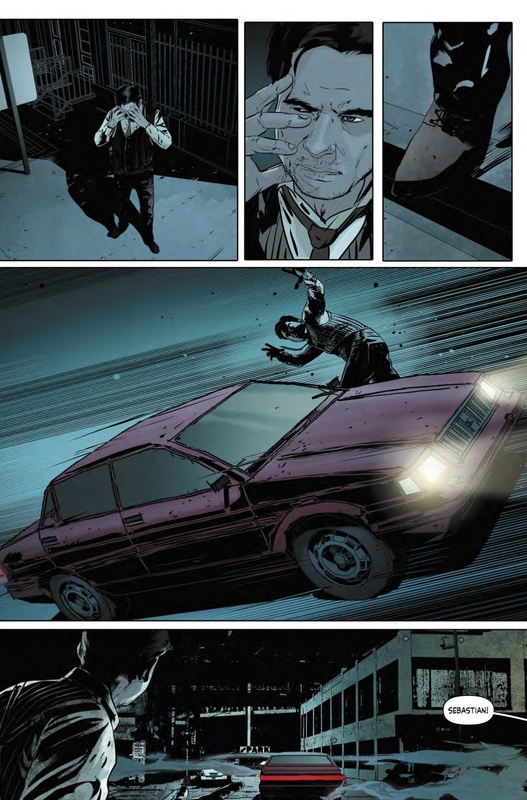 The covers are by Andrea Olimpieri, Game Variant, and Damien Worm. 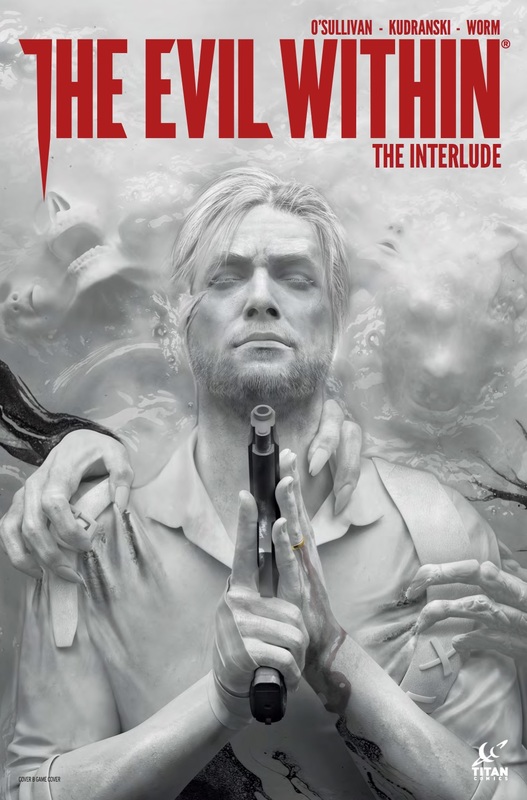 Get ready for the hotly anticipated comics sequel to Tango Gameworks' blood-curdling survival horror series. 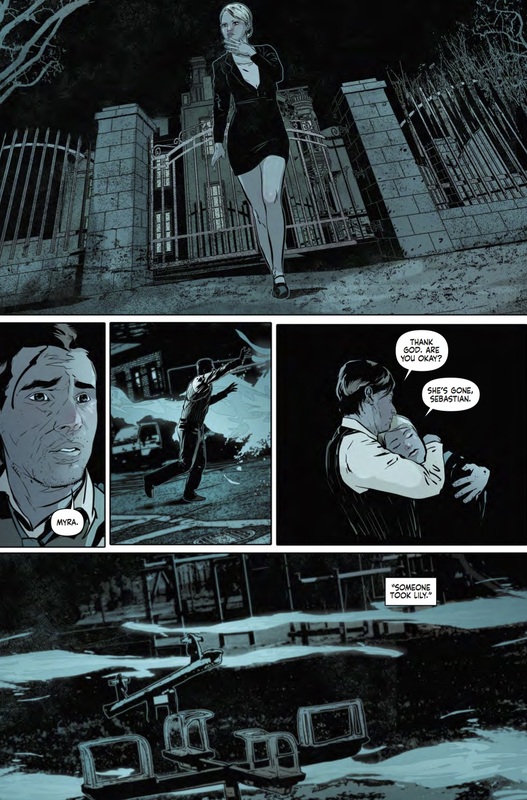 Still shell-shocked by the horrific events that took place at the Beacon Mental Hospital, Detective Sebastian Castellanos finds himself investigating a gruesome murder in Krimson City that might be his key to understanding what happened in his terrifying encounter at Beacon. 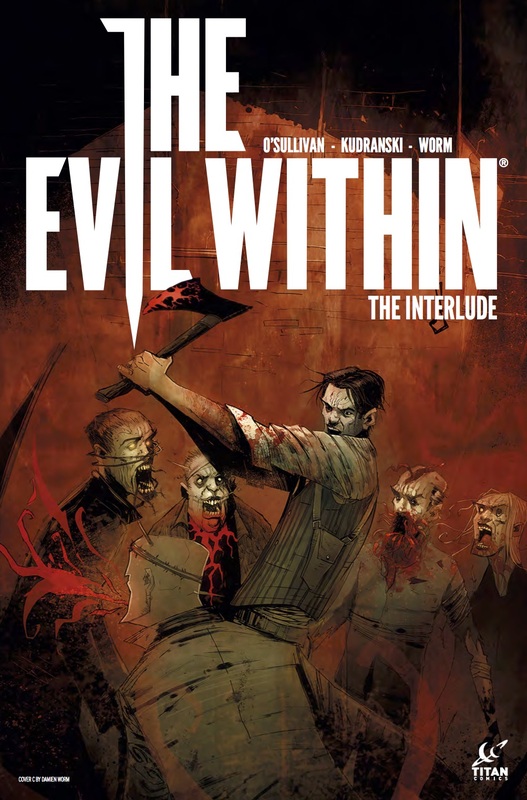 From the mind of Shinji Mikami - - creator of the seminal Resident Evil series - - The Evil Within represents the pinnacle of survival-horror gaming with its mind-bending environments, intricate storylines and blood-curdling scares!